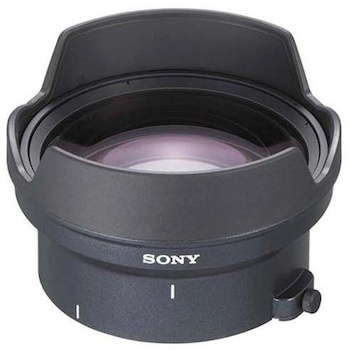 The Sony Wide Angle Lens is an 0.8X lens designed for use with the Sony EX3. Easily attaches to the camera via bayonet mount for quick mounting. This lens is perfect for tight shooting situations when the built-in lens is not wide enough. Additionally, the wide angle lens allows for full zoom capabilities.